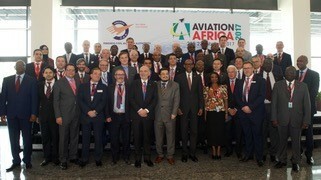 The Aviation Africa Summit and exhibition was opened this morning by Rwandan President, H.E. Paul Kagame with a strong message of support for the aviation industry along with a reaffirmed determination to see Africa progress with its ‘Open Skies’ actions. 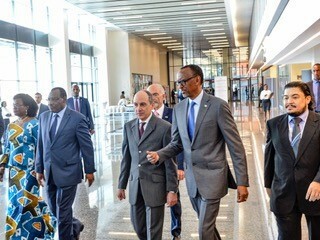 President Kagame was chairperson of the African Union (AU) in 2018 when the agreement for the introduction of a Single African Air Transport Market (SAATM) was signed by African nations. “Sixteen countries in Africa are landlocked, including Rwanda – that is almost one-third of Africa - but every country is air-linked. So, geography should not be seen as an excuse for underdevelopment. This highlights the importance of regional integration where there have been some notable achievements over the past year, chief among these is the Single African Air Transport Market,” said President Kagame. “However, the full promise of this pact only becomes apparent in the wider context of the African Continental Free Trade Area, and the Protocol of the Free Movement of Persons which were also signed last year. He added that Protectionism is a short-sighted policy, which only serves to keep the African market fragmented, inefficient, and expensive - thereby reducing opportunities for African firms. The fourth edition of the Aviation Africa Summit & Exhibition saw more than 800 delegates from 71 countries converge on the Kigali Convention Center. The audience included government ministers, air chiefs of staff and directors general of civil aviation authorities with representatives from 35 African nations. Chairman of IATA, Akbar Al Baker – the CEO of Qatar Airways also spoke at the opening session. “Africa is a promising land for aviation,” said Al Baker. “The list of distinguished guests here today is clear confirmation of Africa’s commitment to reach new heights in the coming years. 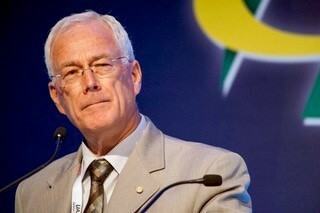 The chairman of IATA - International Air Transport Association - H.E. 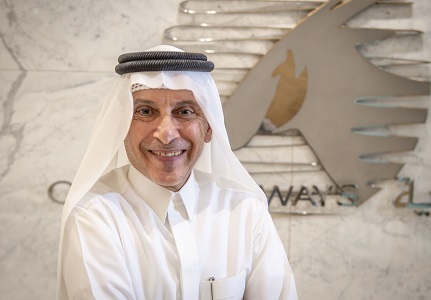 Akbar Al Baker, the CEO of Gulf carrier Qatar Airways is planning a hard-hitting message about the future for aviation in the current highly politicised environment when he delivers a keynote address at next week's Aviation Africa. One of the most strategically important aviation events in the 2019 calendar, Aviation Africa takes place in Kigali, Rwanda on 27-28 February. Top level speakers from AFRAA, AFCAC and AASA will be addressing some of the most sensitive issues facing aviation across the continent. The audience includes civil aviation regulators, military air chiefs, airline CEOs and government ministers. 2-day summit and exhibition brings together leaders across the civil and military aviation spectrum to discuss and debate the key issues that are driving change across the African continent. With the single skies' agreement - SAATM now in place, this event will help leaders discuss the challenges and successes in implementing the agreement. Senior Heads and Directors from key associations and organisations including CANSO, ICAO, IATA, Rwanda CAA as well as airlines - Air Madagascar, RwandAir, Air Mauritius and Ethiopian Airlines will join the panel discussions. 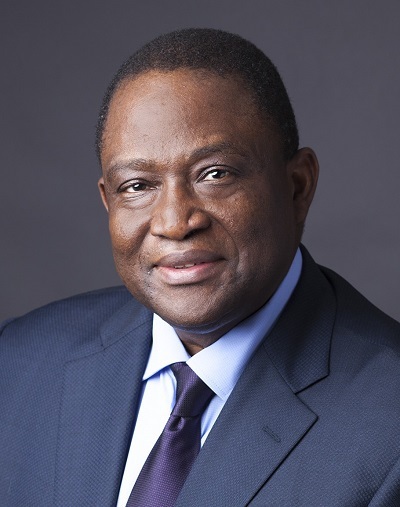 H.E Zoureutou Tchankouda Kassa Traore - Minister for Infrastructure & Transport, TOGO will present a Keynote on how governments can prepare for SAATM. Qatar's Al Baker - known for his strong words - will be calling for change as he outlines how Africa should be developing a hub structure. Meanwhile Australian search and rescue (SAR) expert Brian Day who has been involved in developing SAR policies in Africa and the Middle East will share concerns about existing practices. Africa is leading the way in drone usage, already operating drones to deliver vital medical supplies in Rwanda and Ghana. Zipline, the company behind this operation will share their story. To date, they have made over 10,000 vital deliveries, saving lives in Africa. There will also be a panel discussion looking at unmanned opportunities with Airbus, Dronamics, Rolls Royce and the FAA. We are in a new era for Africa's air defences and Major General Charles Karamba, Air Forces Chief of Staff, Rwandan Defence Force will present a Keynote to discuss the challenges and successes. The former Chief of the South African Air Force & now executive board member of Paramount Group will present how collaboration, building capacity, strengthening the industrial capacity and establishing national defence industries will benefit African nations' capabilities to control the value chain. The exhibition hall is now sold out and will host more than 100 global aviation companies. Platinum sponsor Gulfstream will also be displaying 2 aircraft at the static park at the airport, a G500 and G280 for VIP guests to tour on board. Sponsors for the 2019 edition of Aviation Africa include host sponsors Nexus & Wyvern. Gold sponsors Airbus and Bestfly, Silver Sponsors, Boeing, Rolls-Royce, Embraer, Bugesera Airport Company & SP Aviation, Bronze sponsors - Air BP, Skyplan, Aero MRO and ATNS. Supporting Sponsors are Dassault Aviation, Akagera Aviation and Nedbank CIB. Aviation Africa is supported by the Government of Rwanda, Rwanda Civil Aviation Authority, Rwanda Development Board, Rwanda Airport Company and the Rwanda Defence Force and the official airline is RwandAir. Registration closes on Friday 22nd February with 800 attendees expected over the two days. This year’s annual Aviation Africa summit and exhibition is hosting more Director Generals and airline heads than ever before. The event takes place in Kigali, Rwanda (27-28 Feb 2019). 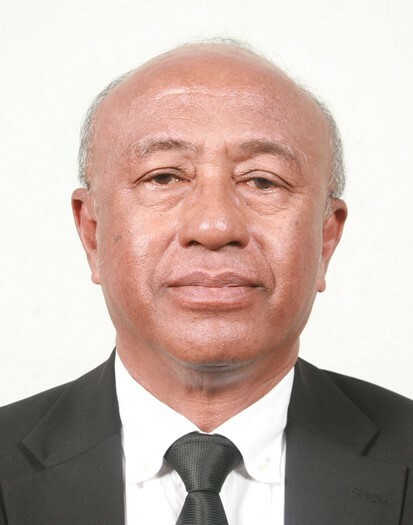 Colonel Silas Udahemuka - Director General, Rwanda Civil Aviation Authority will be hosting VIP guests including the Director General of Togo Civil Aviation Authority, Latta Dokisime Gnama & Mr Simon Allotey, Director General of Ghana Civil Aviation Authority. Joining the CAA delegates will also be FAA executive Director International Affairs Mr Chris Rochereau and FAA Director Africa Mr Grady Stone. From Benin Civil Aviation Authority, Mr Karl Legba Director General and Nathalie Houndeton, Directrice, will also be attending. The event - which is run by Times Aerospace - began in Dubai four years ago. The UAE was selected because of its hub status and ease of visa rulings. This is a philosophy shared by Rwanda, which offers a visa-free entry to African countries and entry on arrival to others, said Times Aerospace managing director Mark Brown. "The beauty of this means that we have visitors, speakers, exhibitors and key government delegations coming from all over Africa," he said. "The maritime SAR community has shown we aviation-types the way to better organisation by consolidating its many state Maritime Rescue Coordination Centres (MRCCs), many of which were non-compliant, into five regional MRCCs. We in aviation could easily do the same if the industry’s will was to be so inclined," he said. "The time is now overdue for us to commit to an Africa-wide organisation of aviation RCCs that are seamlessly knit together into a single system of SAR excellence. "Just as a single sky gives prospect of improved commercial options, so a single SAR sky would provide a safety net able to ensure that when an airline catastrophe occurs over the continent, it will not be grossly magnified and ineffectually broadened by wholesale SAR incompetence," he said. Africa remains one of the greatest potential markets for air transport on the globe and this year's annual Aviation Africa summit and exhibition will explore even further afield with the show organisers promising speakers that are both down to earth and out of this world. The event takes place in Kigali, Rwanda (27-28 Feb 2019). Headline presenters include one of the top names among airline CEOs, the current chairman of the International Air Transport Organisation (IATA) and the CEO of the successful Middle Eastern carrier Qatar Airways, H.E. Akbar Al Baker; and stretching destinations even further is globally recognised inspirational speaker Dr Adriana Marais, the South African set to become Africa's first extra-terrestrial when she completes her one-way mission to Mars. The event - which is run by Times Aerospace- began in Dubai four years ago. The UAE was selected because of its hub status and ease of visa rulings. This is a philosophy shared by Rwanda, which offers a visa-free entry to African countries and entry on arrival to others, said Times Aerospace managing director Mark Brown. "The beauty of this means that we have visitors, speakers, exhibitors and key government delegations coming from all over Africa," he said. Akbar Al Baker, will be centre stage for the air transport segment of the summit. "Qatar is one of the airlines that has been expanding into Africa in recent years," Brown said. "There has often been concern expressed by African airlines about the growth of non-African airlines, but I think many of them may not have heard Mr Al Baker share his views. I know they are in for a treat." Mr Al Baker will be on stage for a one-on-one interview with summit chairman Alan Peaford MBE. Airline leaders from across Africa - both from English-speaking and Francophone countries - will be also talking at or visiting the summit, which will be addressing issues such as protectionism, search and rescue, infrastructure, airline finance, aviation services, regulation and innovation. 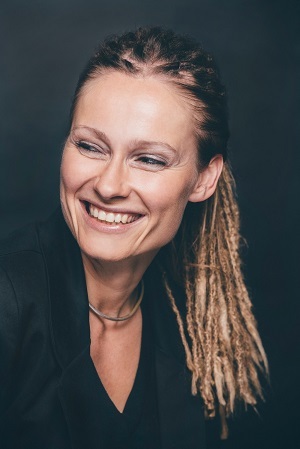 Stepping into the unknown will be key to the presentation by Dr Marais - a quantum biologist, a theoretical physicist, the director of the South Africa Space Foundation and head of innovation for SAP Africa. She is part of the Mars One project which is currently going through its selection process to take 24 astronauts to move to the Red Planet and begin building a society there. "She is an incredible speaker and has been inspiring school children and adults to look up to the skies and think about the new horizons - and what value space exploration can bring to earth. She genuinely changes the way people think about our planet and it is fantastic that she will be sharing her incredible story here on her own continent." 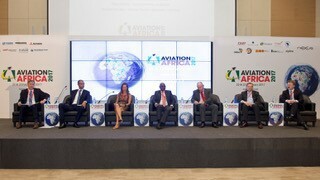 Aviation Africa is organised by TIMES Aerospace Ltd in partnership with Aerocomm Ltd and Access Group. TIMES Aerospace Ltd has organised 3 previous editions of Aviation Africa in Dubai, Kigali & Cairo. The 2018 event attracted 850 delegates & 110 exhibitors. For Press information please contact: Alison Weller, +44 7501 185255.